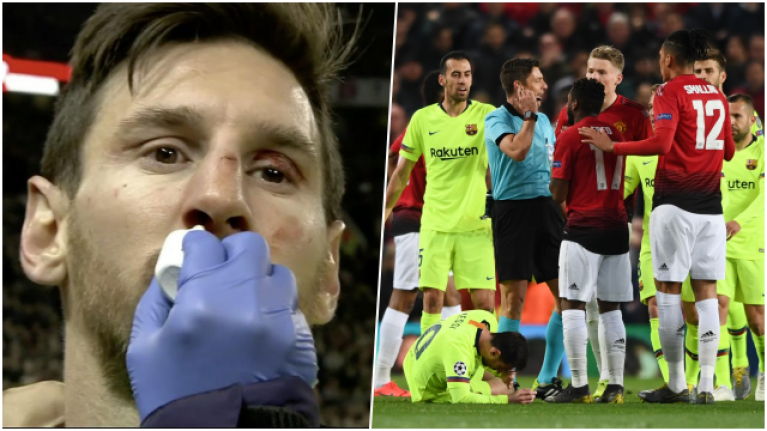 Lionel Messi has forgiven Chris Smalling for the aerial challenge on Wednesday night which left blood pouring from his nose. "We spoke afterwards. We had a brief chat and shook hands," Smalling told BBC Radio 5 Live's Football Daily podcast. "He knew it was an accident." An early Luke Shaw own goal separated the sides on Wednesday, when United struggled to create chances in the final third. 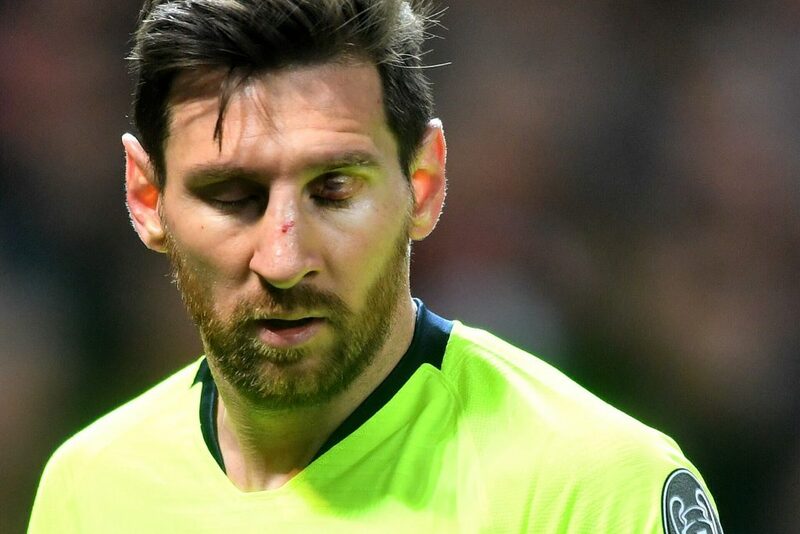 And while we're all well aware of the magic Messi is capable of, he proved his toughness with his determination to play on after losing quite a lot of blood. "I didn't realise at the time that I'd actually caught him like that," Smalling continued. "Suarez [came up to me] after the game as well. We had a good tussle and he just shook my hands afterwards and said 'good luck'. "It's nice when you can have that battle on the pitch and then there's respect after the game because, ultimately, you are just trying to do your best."